Jayant Sinha's remarks come in the backdrop of the setback that the ruling BJP suffered in the assembly elections in three Hindi heartland states recently. 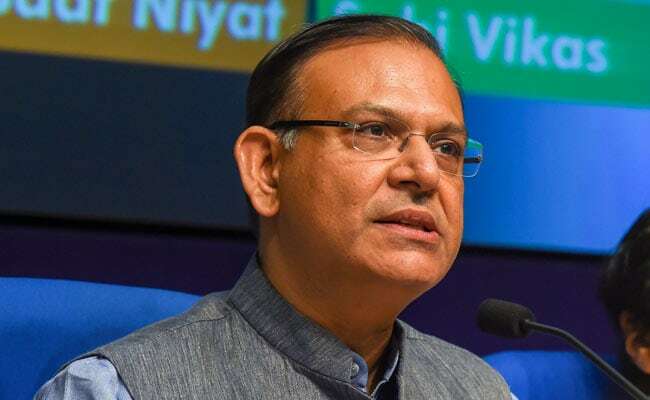 Union minister Jayant Sinha on Thursday said the "most likely" outcome of the ensuing Lok Sabha elections is that India may not get a strong and stable government. "If indeed we end up in a situation where we don't have a strong, stable government, (which) I think that is in fact the most likely case, I think that will be something that will not be good for India going forward," he said, speaking at the CNBC-TV18's India Business Leadership Awards in Mumbai. "For us the goal is to inform, to ensure that people understand all that we have done and all that is at risk consequently," Mr Sinha said. Mr Sinha's remarks come in the backdrop of the setback that the ruling BJP suffered in the assembly elections in three Hindi heartland states recently.